Imagine feeling motivated and energetic to do whatever work you have for the day, how good would that feel? Everyone wants to be productive, get things done and accomplish their tasks. No one wants to procrastinate, being lazy and doing nothing the whole day. And I’m here to tell you that getting rid of laziness is possible and anyone can do it if they want to. When it comes to achieving greater success and accomplishing your goals, there is no way around hard work. The problem is that most people do not want to work on it. I was wrong, not that people do not want to work on their goals, but they feel lazy and just can’t find the motivation for it. I believe that everyone wants to work for their goals and their dreams. It is just that they do not know how to overcome the laziness and switch on to their productive state. This is exactly what you are going to learn in today’s article. I will share with you the most common reasons people feel lazy and put things off and how you can combat your laziness and transform into a productive person. So what makes you feel lazy and wanted to procrastinate? Have you ever thought about that? If you want to get rid of your laziness, you must first understand and find out what causes you to be lazy. You have to know the root causes so that you can tackle it and get rid of it completely. While I believe that no one was born lazy, it is just that people do not know how to use their potential and they do not know how to channel their energy in the right way. Think about it, do you feel lazy when you are doing things that you love? We all have heard that people play computer games until late night. They can continue the game until midnight and wake up early morning to play the game, without feeling tired or exhausted. In fact, these gamers feel excited and energetic to play even when they sleep only 3 hours a day. And in this case, people are not lazy, they just do not know how to channel their energy into the things that they want to get done. So what are the common reasons people feel lazy and do not want to work on? If you are in sales, what makes you feel lazy and just do not want to pick up the phone and call your client? Do you feel sleepy and no energy all the time? You have to do the diagnosis on your lifestyle to discover the main culprit here. Usually, if you wake up and feel tired early in the morning, it could be due to the night before. Maybe you are not sleeping well. Maybe you sleep late last night. Maybe you went for heavy exercise yesterday and today you feel exhausted. Maybe you drink alcohol before you sleep. There are many reasons; you have to find out what causes you to feel tired and sleepy. On the other hand, if you feel sleepy and no energy in the afternoon, you may want to find out the reason as well. Did you eat too heavy? Or you have used up most of your energy in the morning? This may sound a little funny when you think about it. How can you fear success when all you want is to be successful? Some people afraid that if they have made it to the top, things may change and they just cannot cope with it. For example, if you make a million dollar this year, does that mean you will have to go higher and earn 2 million next year? If you work hard and finally built a successful business, what’s next? Do you need to work harder to produce even more result? Do you have to sacrifice family time to grow your business? These are some of the examples people fear success. What if I tried and things do not work out? What if I failed and never make it? What if I cannot pay my debts or my bills? So is the fear or failure or success stopping you? Why do you feel lazy and do not want to take action? Are you a perfectionist? You do not have to worry if things go wrong or if you did not do it in the perfect way. It is perfectly alright because you are human. And human will make mistakes because that is how we grow. Do you worry too much about the details or you might screw things up? 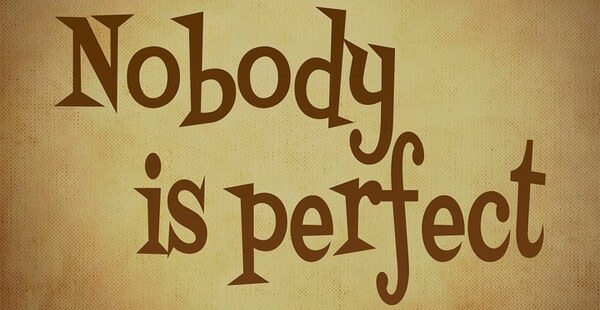 If you are suffering about this, you have to overcome the perfectionist part of you. Do you feel that the task is just too big and you can’t handle it? Or do you feel the task is going to take a long time to finish? Or maybe you feel you do not have the time and energy to do it? Feeling overwhelming is a very common reason that makes people feel lazy and does not want to proceed. They feel that writing an article is just too time consuming, and they find the perfect 2 hours block free time to do it. However, those 2 hours rarely come by. Do you feel pressure and pain when you think about doing the task? And instead, you choose to be lazy and put it off by watching excessive TV or checking updates on Facebook? People will choose to go for pleasure instead of pain when they have a choice. Just like you will choose to go out with your friends instead of staying at home working on your taxes. You need to learn how to use pain and pleasure to motivate and drive you, and not against you. Once you have identified the causes that make you feel lazy, it is time for you to fight them. 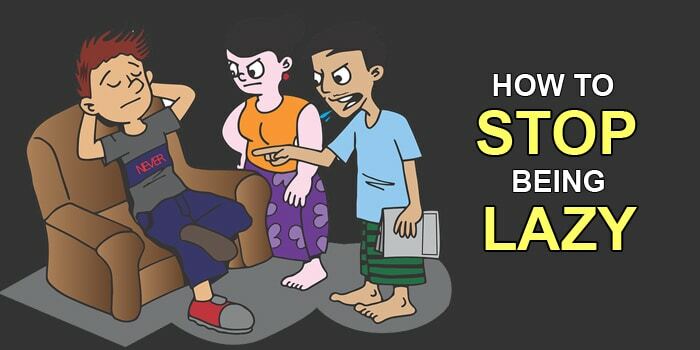 There are 10 ways how you can overcome your laziness below. Choose the one that is the most suitable to you and able to get rid of your laziness and put you into a position of power again. You may want to try out a few of these techniques to see which one works best for you. Most people are afraid to work on tasks that they don’t like. They feel lazy and pressured whenever they think about the work. They will have thoughts such as “I have to do this” or “I must get this done”. When you use the word “I have”, or “I must” or “I should”, you are telling yourself that you need to do it but you just do not want to. ‘I have to do this, but I don’t want to’. Sounds familiar? The words, “Should”, “Have”, “Must”, and “Need” usually associate with a negative thought at the end. It is just like you have to make the call, but you don’t feel like doing it. This is what stops you and make you feel lazy. Once you have identified the one small thing, do it right away and you will build up the momentum. Do you know that your environment can influence your mood and hence, your productivity? Do you think you would want to work when you see all your colleagues are having fun, chatting, and laughing with each other? No, you would want to join them because that’s pleasure. Unless you have extreme self-discipline, most people will be influenced by their environment. There’s a saying, “Your environment will shape you or break you”, and it is true. Try to read a book or do your work in a cyber café where everyone is playing games and having a lot of fun. Do you think you can do it? I doubt it. So create a supporting environment that you will want to work in. If you are working at home, make a specific work area so that you can concentrate your energy. There are just too many distractions and things that will seduce us to be lazy. If you are in the office, try to get away from all the distractions. If you have a room, lock the room and get your work done before you unlock it. Clean and clear your office desk so that you will never feel like you are working in a mess. Declutter and apply the principle of minimalism. A clear desk will get people to use it than a dirty and messy desk with papers and files. How do you eat an elephant? One bite at a time. How do you read a book? A chapter at a time. For all the work and tasks you have at hand, the only way to get them done is to work on one small thing at a time. If you are required to make 100 calls a day, focus on just making one call. If you are required to write a book, focus on writing just one paragraph. You want to lower the resistant and make it so easy that you will not procrastinate on the task. A lot of people feel lazy because the task is just too huge and they feel overwhelmed when they think about it. Just like writing this article, I focus on creating the draft at first, and then I focus on writing the first paragraph. I know that if I wanted this article to complete, I must focus on writing it step-by-step, word-by-word, paragraph-by-paragraph. If you want to go to the gym, don’t tell yourself that you want to work out for an hour, instead, tell yourself that you just need to get change. Once you have changed your attire, you are on the move and the momentum will gather and you will find yourself hitting the gym in no time. Break down your tasks into smaller and actionable steps. The smaller the better. Remember, you want to make it so easy for you that you will have no excuse but to do it. Break down your work so small that even a lazy person would do. I know that you are busy and you just do not have time to rest or take a nap. Albert Einstein, Leonardo da Vinci, Thomas Edison, Eleanor Roosevelt, John F. Kennedy, Winston Churchill, John Rockefeller, and more, take short naps to get more things done. Sometimes when you feel tired after lunch, you might just take a short 10 or 15 minutes nap. Here’s an article on why you should take a nap every day. You will feel energetic and alert after that. However, make sure you did not oversleep or sleep longer. When you sleep longer, you will go into deep sleep mode and it will make you feel tired after you wake up. A quick, cat nap will be sufficient. And that’s what I do on most days. I will just close my eyes on my favorite sofa and take a quick 10 minutes nap. Sometimes I will feel groggy when I wake up, and I will do a little stretch and move my body. After that, I will feel so energetic and totally refresh. So don’t be afraid when you feel sleepy or tired. Just get a short nap and you will feel refresh again. Take a short nap when needed. If you feel this is the right way to keep you up and beat your laziness, you might want to make it your daily habit. There’s nothing wrong with taking naps to refresh yourself. However, do not misuse this technique and take a long nap and wasted your time. When you feel like no motivation and just want to put things off, don’t! – I would read books to get inspired and ready to work on my goals. – I would listen to my favorite inspirational songs or short video clips to get fired up. – I would review my goals and do some affirmations to get myself up again. And some of these have become my habits. I will do them regardless of whether I’m motivated or not. Before I start my work, I will just listen to my favorite uplifting music and then review my goals. I will read out loud what I wanted to accomplish. This is just like athletes. You will see them gather around and shouting before the match. They use pep-talk to motivate them to a higher level. You can do this as well. If you feel sleepy doing your work, apply some of the techniques like reading a motivational article like this one before you start your work. Trust me, it helps a lot and it will boost your energy and motivation. – Read motivational books, or a chapter or an inspirational article. There you go, this is my ultimate key to staying productive and motivated every morning. I drink a cup of coffee around 9am each day, without a miss. I don’t care if you say that this is bad for health, I’d rather choose to have a motivated day and get my work done and feel satisfied by the end of the day. Do you know that coffee is the second largest commodity traded across the world? Petroleum being number one and coffee is at number two. Well, I’m not asking you to drink 10 cups of coffee a day, but I’m sharing with you that drinking a cup of coffee can make you alert and fire you up. It is your choice if you want to follow. You can choose to drink tea instead of coffee or other beverage if you want. However, I found that coffee is still the best beverage that will keep me motivated and up for the day. Probably I have got used to it. Anyway, you know my secret now. In fact, I have my coffee on my table while I’m writing this. If you want to do this, drink coffee in the morning than in the late afternoon or at night. What makes people do what they do or avoid doing what they don’t do are because of pain and pleasure. When you are doing something you do not like, you will feel pain. On the other side, if you put the work off and watch TV, you will feel pleasure. It is either the inspiration or the desperation that will get you moving in life. Often times, people do not know how to manage their thoughts. They avoid pain and choose for short-term pleasure. The right formula to build a successful life is to be able to delay the instant gratification. Nobody wants to wake up early in the morning when they have a choice. But why successful people wake up early to get things done when they can choose to sleep more like most ordinary people? Use the power of push-and-pull or pain-and-pleasure to your advantage. 1. Imagine the pain and what will happen if you did not do the work. 2. Imagine the pleasure and what will happen after you have successfully completed the work. Make it as emotional as possible. For example, when you feel lazy to make the sales call, what will happen? Probably you will not have sales for the week, less income for this month and that means no money to pay bills. Your colleague may look down on you and you will feel like a failure. What if you take action and make the calls? You may close some sales, earn more commission this month and you may be able to buy the watch you always wanted. Feel the pain and pleasure. Use the pain to push you and the pleasure to pull you to work on what you want. If you want to get rid of laziness and start to be productive to get things done, you have to create a ritual. A ritual is just a habit of doing things. Recently I learned how to create my evening ritual from Asian Efficiency. You can do that for morning ritual, workplace ritual, special task ritual, evening ritual or any other ritual you can think of. b. I will then switch off everything; TV, laptop, and stop doing my work. c. After that, I will wash my face and brush teeth. d. I will do some affirmations. e. Get to bed and take 5 deep breaths. These 5 steps are my evening ritual. I will practice this ritual until it becomes my habit. f. Start my work at 6.30am. This is the time I work on this blog. I have a strict morning routine because I believe that my morning time is my most productive time. This is because I feel fresh and energetic in the morning. Plus, I won’t have any distraction early in the morning. That’s why I love mornings. If you do not have a set of routines or habits or rituals whatever you want to call it, it is time to create one. Take a piece of paper and write down your morning and evening ritual. Your ritual must consist of at least 3 to 10 steps. Do not make it too complicated that you can’t follow. Make sure you follow through and do what your rituals. This will develop a productive habit and you will never feel lazy anymore. One of the most important keys to living a successful life is to keep your words and promises that you made to yourself. What does it have to do with combating laziness? Everything! You want to train yourself to be disciplined and did what you say you are going to do. In fact, it is one of the most important keys everyone needs to possess to produce amazing success in life. When you say you are going to wake up at 6am, do that. Wake up when your alarm goes and do not hit the snooze button and sleep back. When you say you are going to make 80 sales calls, do that. Do not procrastinate and do not put it off. The more you procrastinate, the more likely it will become your habit. Thus, if you tackle it and do the task you said you are going to do, you are telling yourself that you have self-discipline and the next time, you will do what you say you are going to do. Let me tell you a secret, successful people are successful because they have a strong self-discipline. They do what they say they will do. If you do not have self-discipline, nothing will work for you. 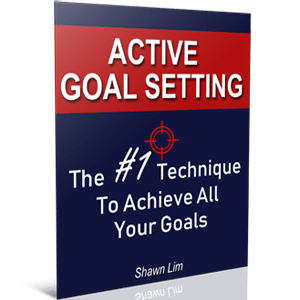 Goal setting will not work if you do not work on it. Affirmations are not going to motivate you if you do not even have the discipline to do them. And if you were to ask me the most important ways to get rid of laziness, I would say this – keep your words and promises that you made to yourself. Luckily, self-discipline is like a muscle. You can train and grow it. Whenever you make a promise to yourself or when you say you are going to do something, no matter how big or small it is, keep your word and do it. If you decide to go to the gym, just go. Don’t procrastinate. When you say you are going to jog for an hour, do it and do not stop until you reach your target. This will make you develop more discipline and make you more successful in life. Keep every single promise and words that you say to yourself, not just to others, but to yourself. This is the most powerful key to fighting laziness and getting out of procrastination. When you say something, mean it. Once you have set your goals, do whatever it takes and do your best to achieve them. If you feel lazy to do something because it is all work and no fun, this is your time to redo your schedule. You must include fun time and breaks into your daily, weekly and monthly schedule. Take at least an oversea vacation once a year. Do something you love or follow your hobby each week. When there are all work and no fun, you are telling your mind that life is boring, and this will create the feeling of pain that you will want to run away. This is why the Pomodoro technique works so well. It suggests that you work for a certain time frame, and then you take breaks in between. For instance, you can work for 30 minutes and take a 5 minutes break. Repeat for a few sessions and then take a longer break like 30 minutes. As for me, I know I can focus longer so I will work for at least an hour before I take my break. This will prevent burnout and make you more productive because you know there are breaks and fun waiting for you. So recharge yourself from time to time. Take breaks and schedule fun time into your calendar. The first thing you need to include into your calendar when you do planning is to insert your fun time. You want your brain to know that there will be a lot of fun so that you will tend to work harder. So put in breaks in between your daily tasks. Create time for fun such as 30 minutes of dancing or an hour of swimming. Make good use of your weekend as well. So now you know why you are lazy and you have also learned how to get rid of your laziness. Use these techniques to be more productive. Apply them and use them, don’t just read. Start right away if possible. So what do you think work best for you? How do you fight your laziness? Share with me in the comment section below. Hi Shawn, Thank YOU for referring to one of my articles; the inclusion is much appreciated!!! Shawn thank you again! Maybe we can meet up for coffee and discuss this topic more??? Hi Luke, glad you love this article. Well, which part of the world you in?